Emma’s intro to her own story is one that thousands of young girls all over the world can relate to. Emma was no exception. Her dreams slowly began to take form when she was the winner of a competition, chosen as the one person in the whole of Australia - 23 million of them - to win a horse for a year. Her journey into the world of horses began, and she soon became hooked, starting to compete in Eventing just 4 months later. A little girl’s dream coming true. But then on 7th April 2013, everything changed. Emma was travelling home from an event then a truck jack-knifed and slammed into her car and horse trailer. The collision was catastrophic. Two of the horses in the attached trailer were killed, and Emma sustained horrific injuries, including bleeding on her brain, fractured sternum, punctured lung, a severely damaged spinal cord and her back shattered. She was left as a paraplegic. Emma spent 4 months in hospital, undergoing intense and seemingly endless physiotherapy . All she could think about was getting back on a horse, and it was this thought that kept her going through the dark and difficult times. On 30th October, she was helped back into the saddle, and she says that “After nearly seven months of being unable to get out of bed or my chair, feeling the horse’s movement underneath me was extremely liberating." 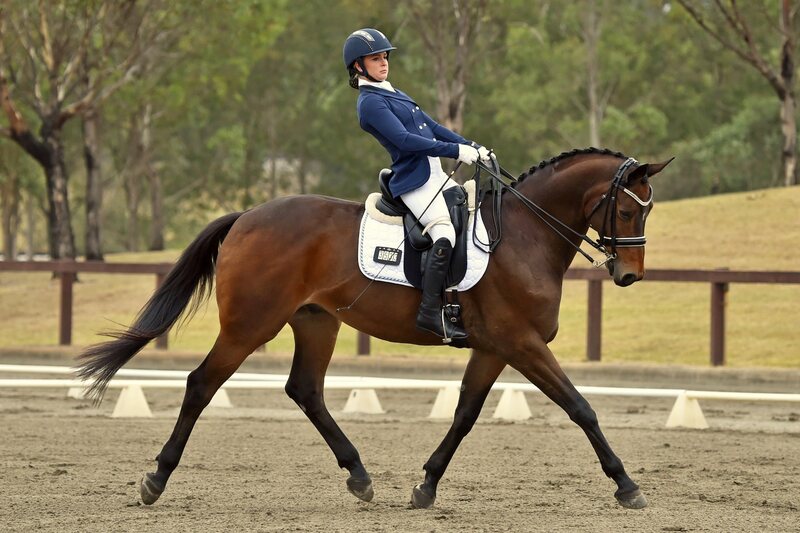 Since that day, Emma has forged ahead in Para-Dressage, climbing the ranks and turning heads at every stage. She has now been selected to represent her country at the biggest sporting event in the Equestrian calendar - the Paralympic Games in Rio. 1. Hi Emma - being an Ozzie so far away from home, What will you miss the most about Australia when in Rio? My dogs, Rosie and Mina and my other horse who was part of my road to Rio, Sandro and the ponies Freddy and Scruffy! All my friends and family who have supported me and I know will be watching! 2. How does it feel to be representing your country at the Olympics when just 3 years ago you were laid up with your awful injuries and unable to walk? You are a prime example to young people that anything is possible and never give up on your dreams, goals and ambitions! It is an incredible honour to put on the Green and Gold uniform. I'm proud to represent my country and it's crazy to think I will now always be known as a Paralympian - it's all a bit surreal! 3. I'm sure it must be! Tell us, how has as your outlook on life changed since your accident? Something like that must put things into perspective! Of course, something like that changes things. It has made me even more grateful for the support of my family who have been there for me everyday. I really couldn't have done all this without them. It is important to always look forward, life is too short to take for granted and it's important to take time to appreciate what you have got and not waste time on what you haven't. 4. About your family friend Glenn riding around Australia - Tell us about the support from family and friends and what it means to you. The support of the general public, family, friends and particularly Glenn Carter has been incredible both financially and emotionally. It is no exaggeration to say that I wouldn't have made it to Rio without them. Without Glenn's huge fundraising effort I wouldn't have been able to look at a horse like Zidane and without him I wouldn't have made it into the team. Carter is my hero and cycling around Australia was no small task, the thought that someone can give so selflessly is incredible and I'm determined to make him and everyone who's supported us very proud. Rest assured we'll be trying our very best everyday. 5. How is Zidane? Tell us more about him - why you chose him, what connection you two have, what makes him special? Zidane is incredible and I'm very grateful to Lone Jorgensen for finding him, helping to reeducated him and coaching me on this journey. Zidane has been one in a million, his temperament is outstanding and matched by incredible movement he is just a superstar horse. He is very attentive and always tries so hard to please, my heart genuinely burst with pride and love for him. Emma, thanks loads for taking the time to chat with us, best of luck to you and Zidane these next few days - we'll be watching!